We provide a quality focused, inspired, value for money, unrivalled expertise and committed approach to your needs; always maintaining customer satisfaction with our integrity and professionalism. Welcome to Forensic Scientific. An independent Forensic Science and Scientific company providing services to Solicitors, Barristers, Police Forces, Universities, Companies and Private Individuals within the UK and Internationally. 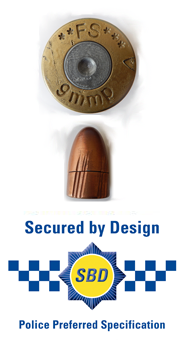 Set up by Philip Boyce, an internationally recognised UK firearms expert, after he had designed and built the Firearms departments for two of the leading UK forensic service providers (heading up their teams); we offer a unique and unparalleled level of Firearms, Gunshot residue and Tool Marks expertise. Having worked for several Forensic Providers we understand criminal cases from the points of view of both the prosecution and defence, allowing us to be certain of our findings and give reputable expert testimony in court. We pride ourselves in reviewing, examining and challenging forensic findings on behalf of our clients. We liaise with our clients working on a range of cases from the very simple to the extremely serious and high profile. We always respond quickly to your queries, in most instances being able to put you through to an appropriate scientist immediately. Understanding your needs we offer an out of hours service, always respond to tight turnaround times and are happy where appropriate to tailor our services to suit your needs.